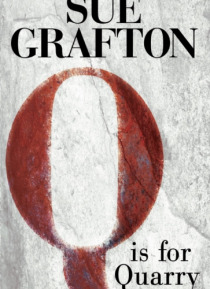 Sue Grafton delivers an intensely gripping mystery based on an actual unsolved murder in this #1 New York Times bestseller featuring private investigator Kinsey Millhone.She was a "e;Jane Doe,"e; an unidentified white female whose decomposed body was discovered near a quarry off California's Highway 1. The case fell to the Santa Teresa County Sheriff's Department, but the detectives had li… ttle to go on. The woman was young, her hands were bound with a length of wire, there were multiple stab wounds, and her throat had been slashed. After months of investigation, the murder remained unsolved...That was eighteen years ago. Now the two men who found the body are nearing the end of their careers in law enforcementand they want one last shot at the case. Old and ill, they need someone to help with their legwork and they turn to Kinsey Millhone.Kinsey is intrigued by the cold case and agrees to take the job. But revisiting the past can be a dangerous business, and what begins with the pursuit of Jane Doe's real identity ends in a high-risk hunt for her killer.